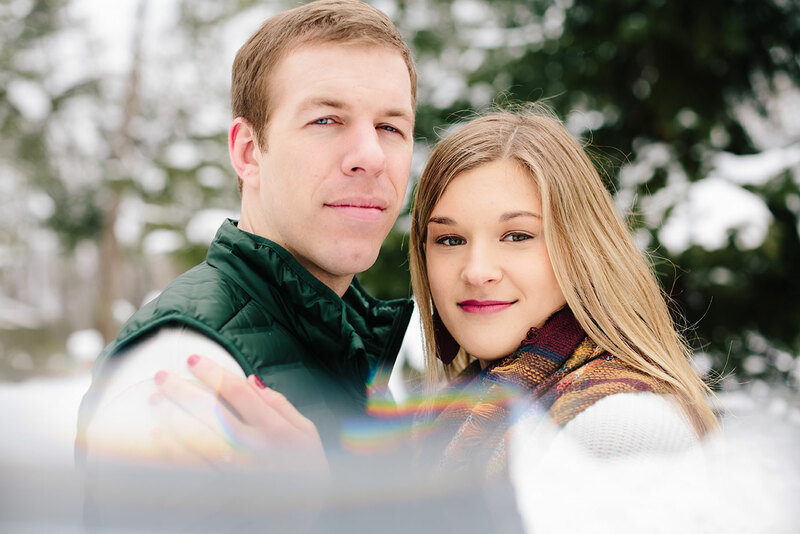 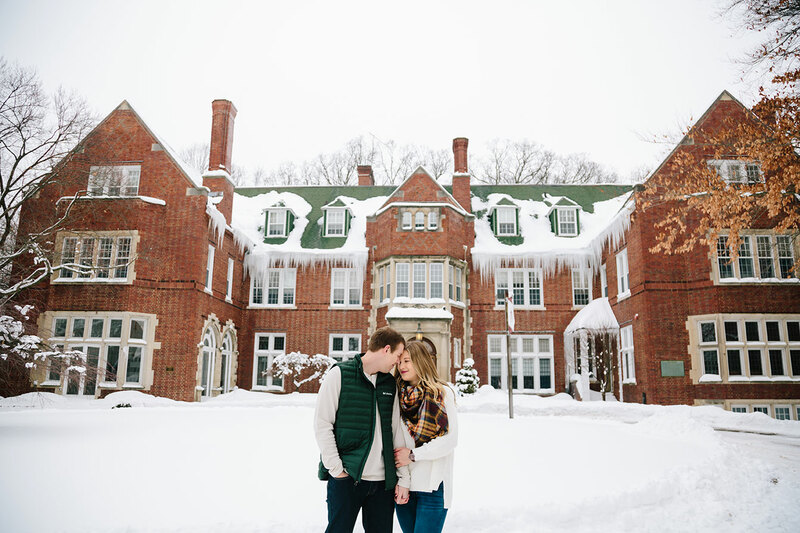 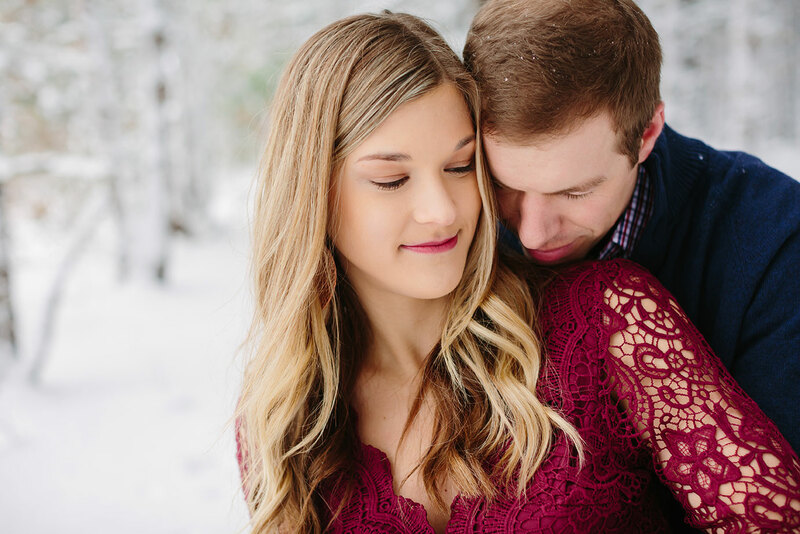 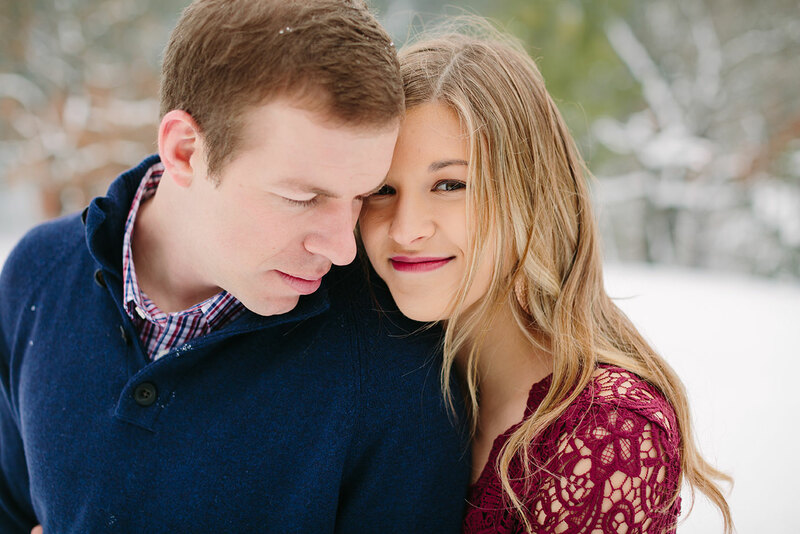 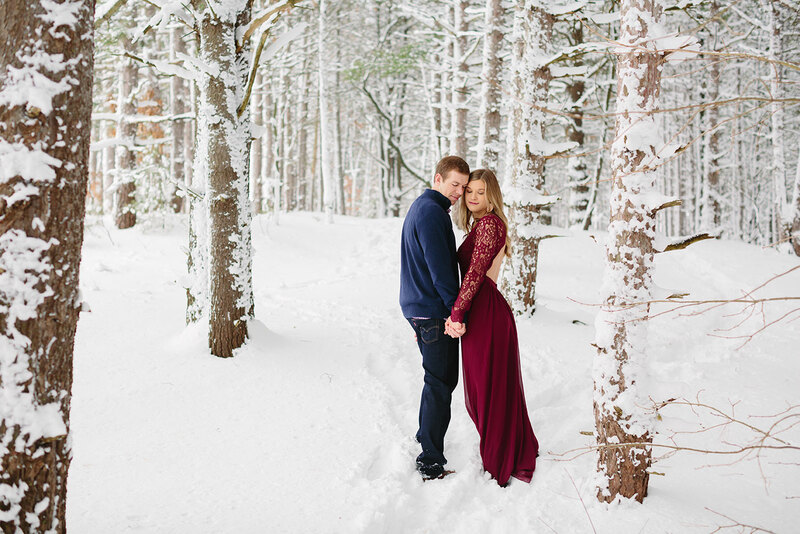 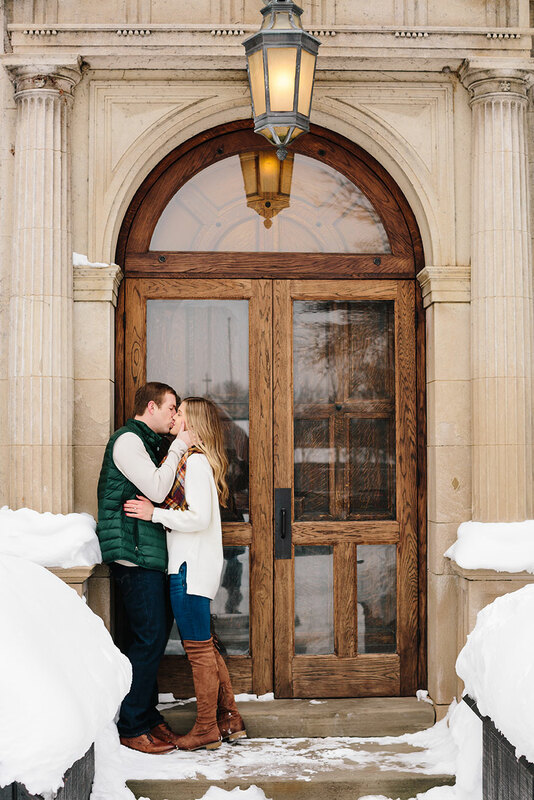 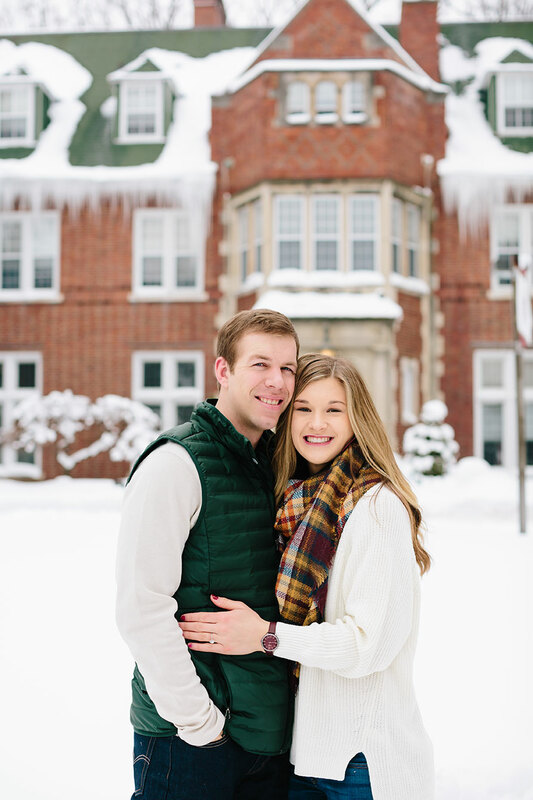 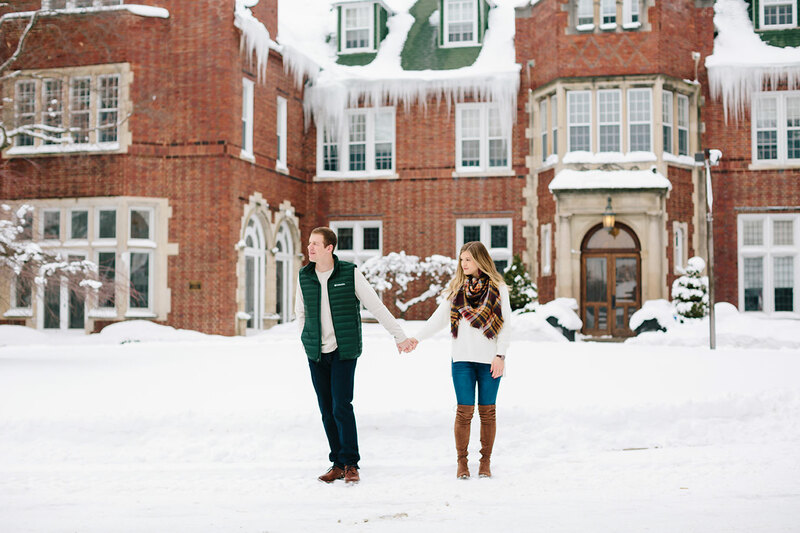 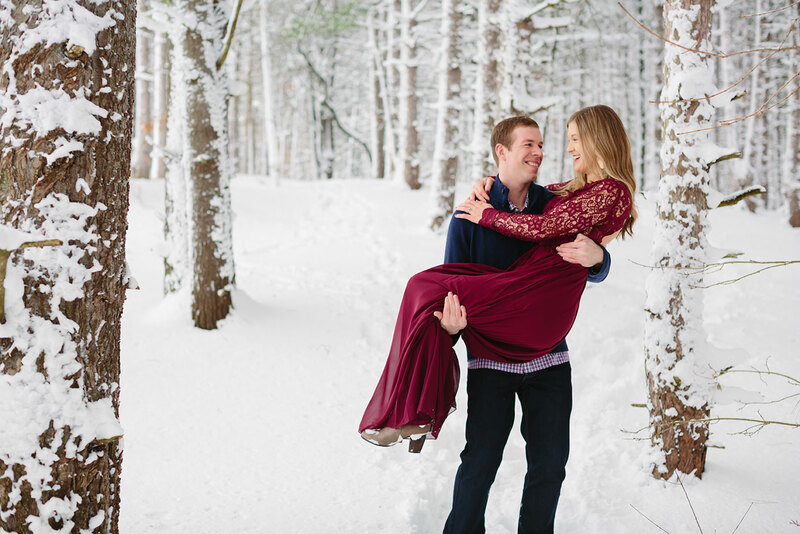 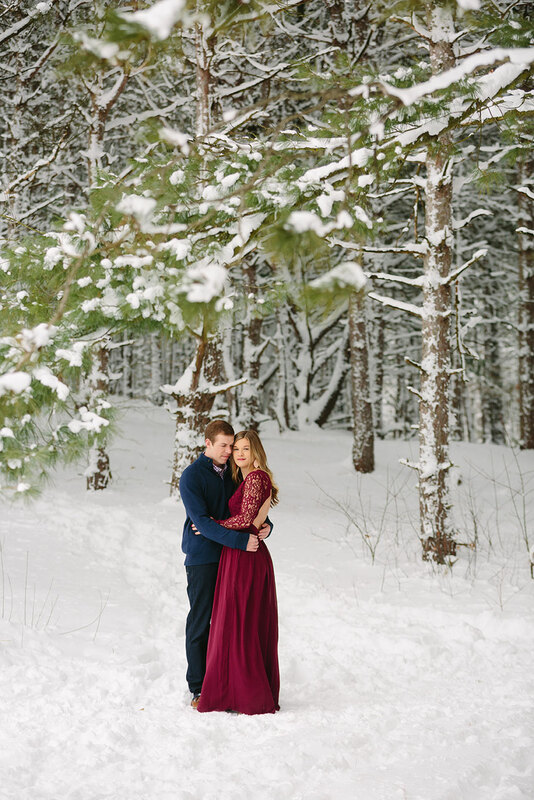 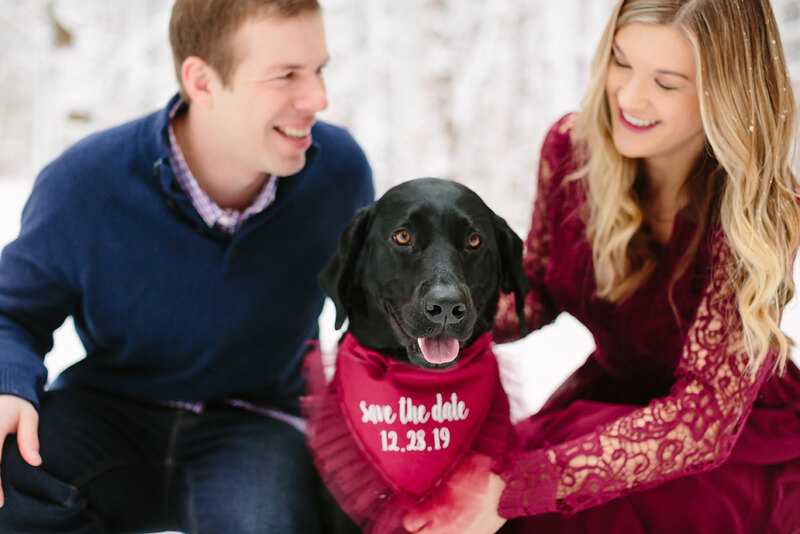 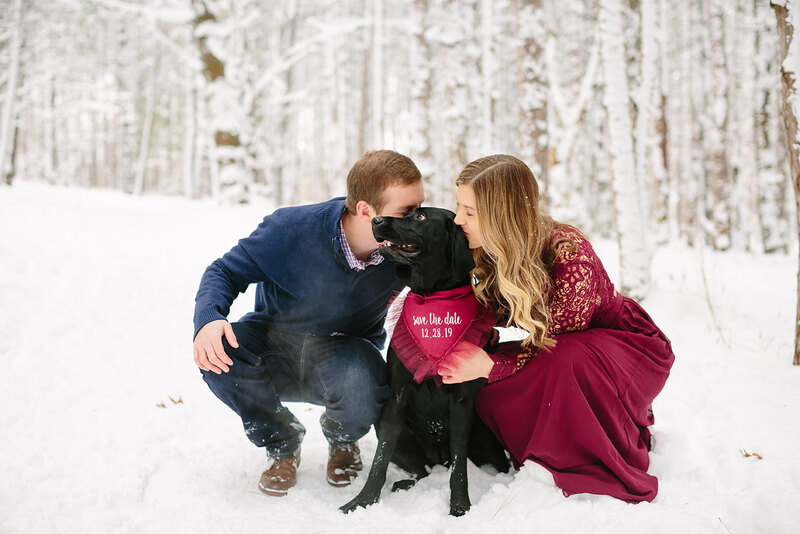 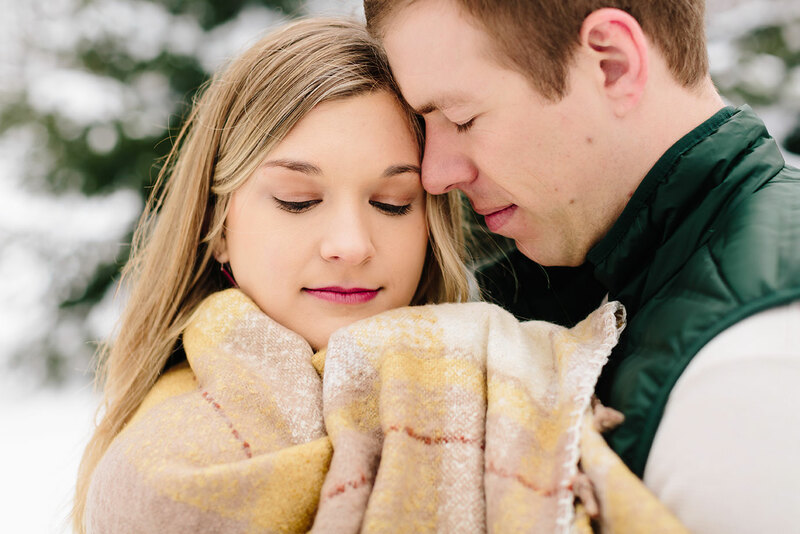 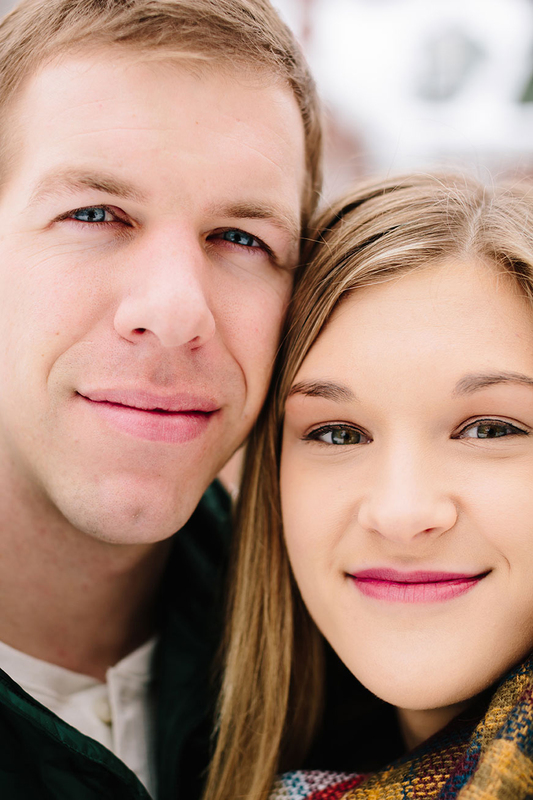 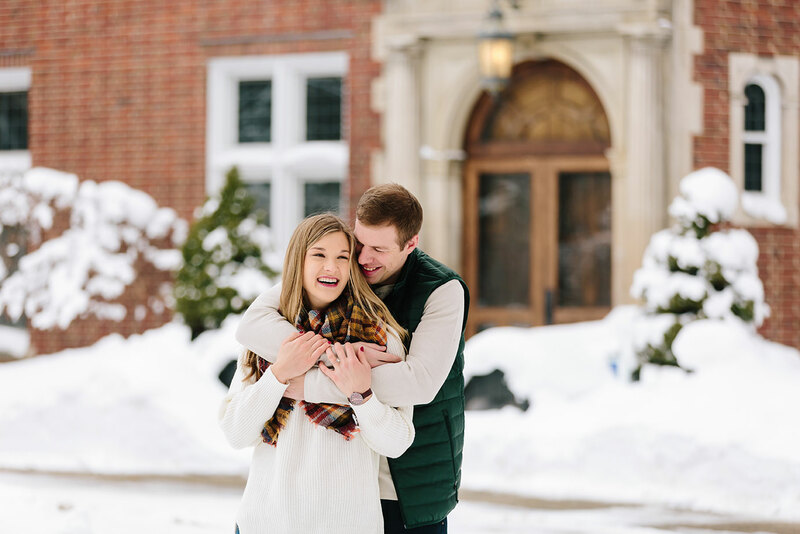 Shelby and Kyle experienced a winter wonderland for their Grand Rapids engagement photos and it was 150% worth being out in the freezing temps. 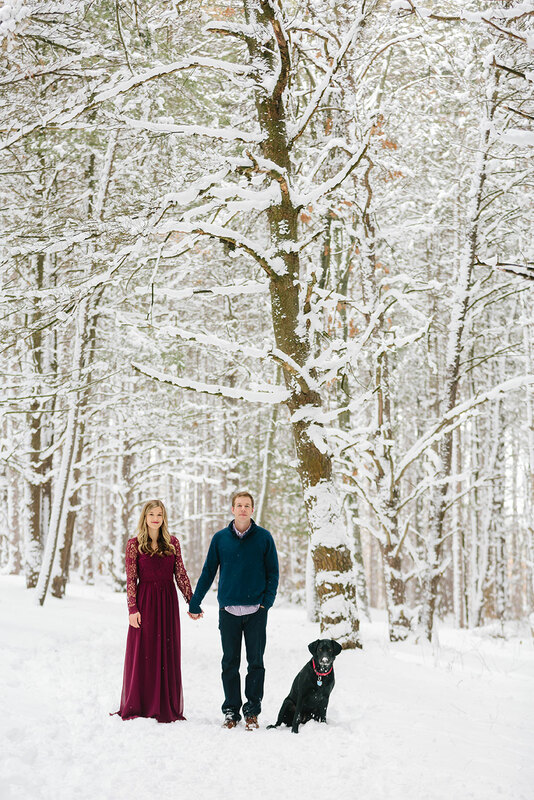 This was the day after Michigan’s week long snow storm filled with -20 degree temps, a snow week for the school districts, and heaps of snow. 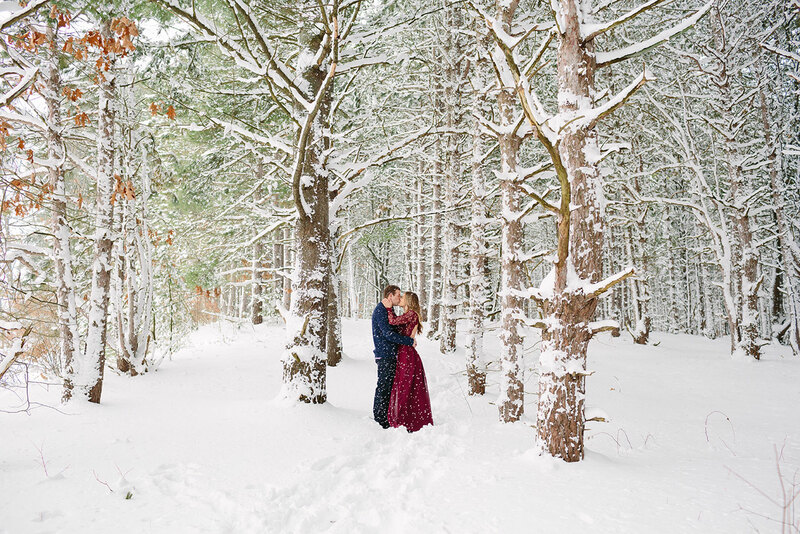 It warmed up to 30 degrees and we hit the woods and it was magical! 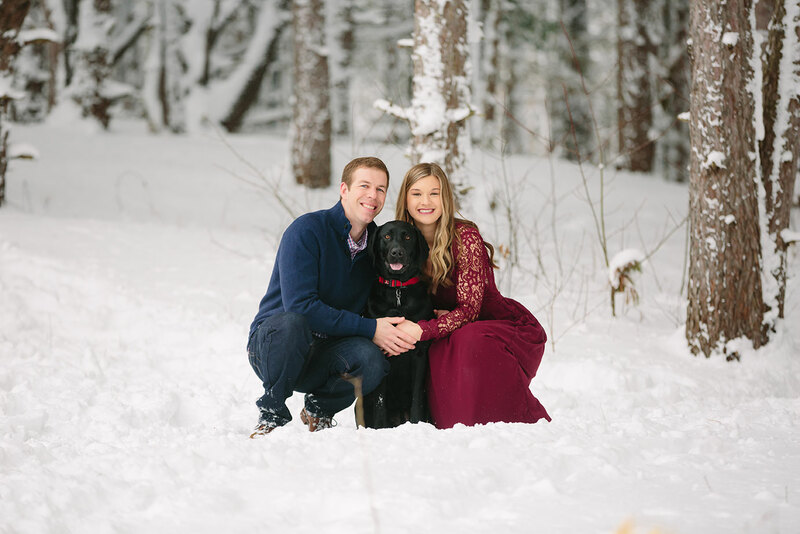 Shelby and Kyle brought along their cute pup, Kora and she was loving all of the snow (she has snow on her nose in almost every photo and I love it). 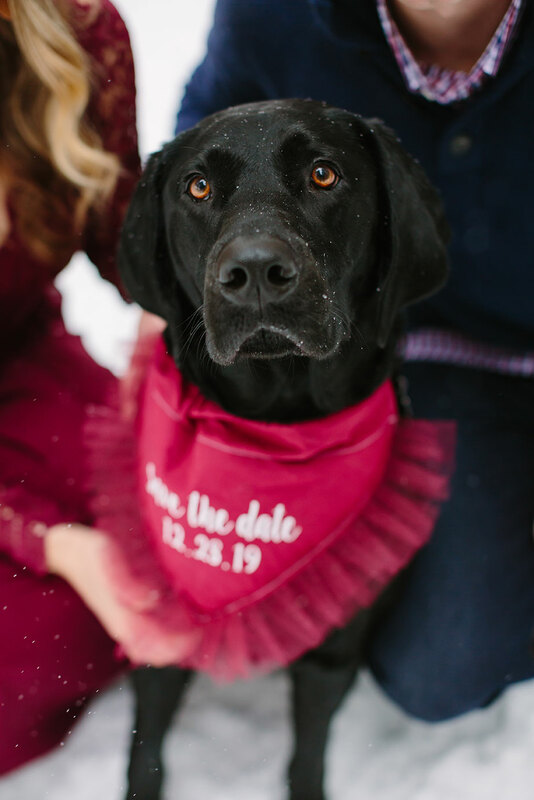 How cute is Kora’s adorable bandana made by Knox & Co?! 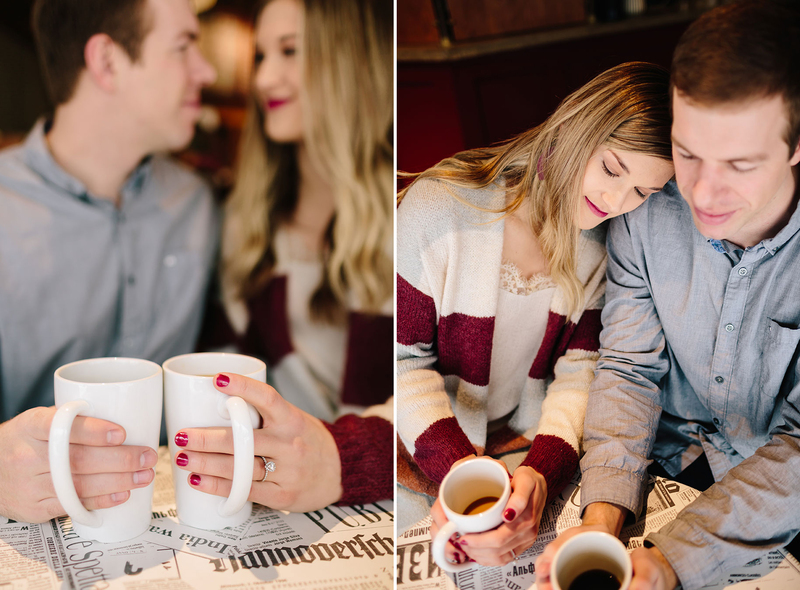 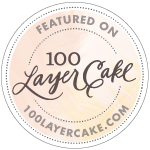 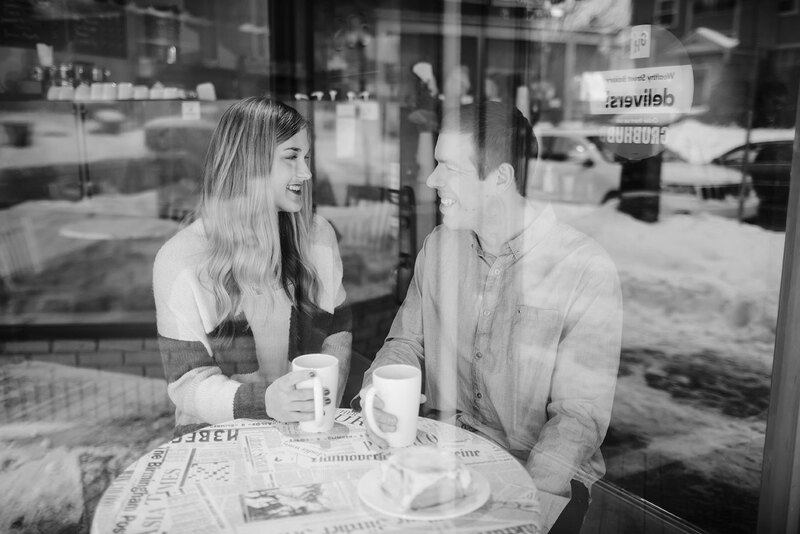 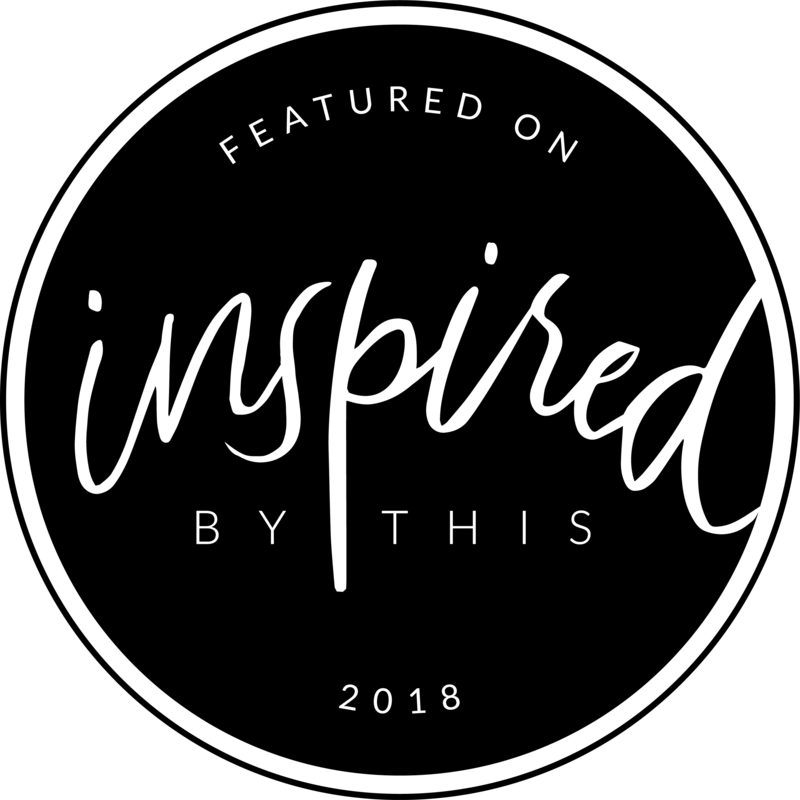 We went to some of my very favorite spots in Grand Rapids: from Provin Trails, to Aquinas college, and we ended with some hot coffee at Wealthy Street Bakery. 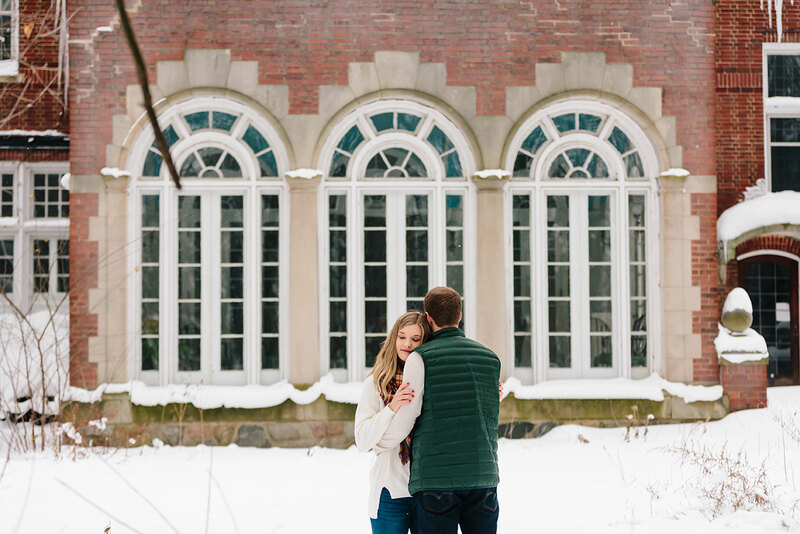 It was the perfect afternoon after being stuck indoors for a week. 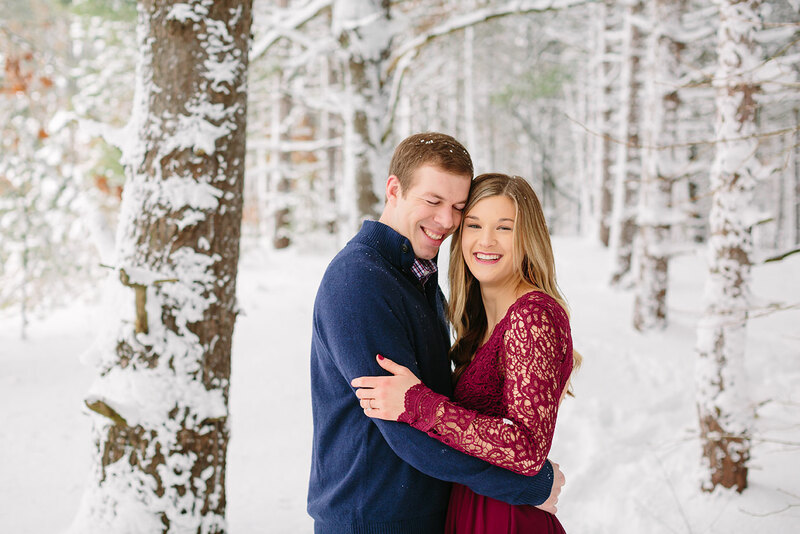 I have known Shelby for at least 15 years (woah, I had to think about that), so it was such a joy to see Kyle and Shelby and all of the happiness they bring to each other. 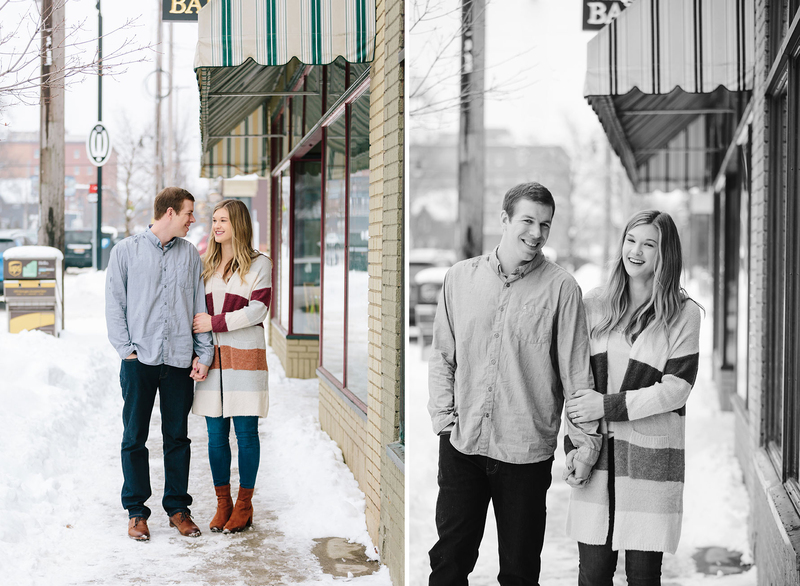 I can’t wait for their wedding at Baker Lofts this December!